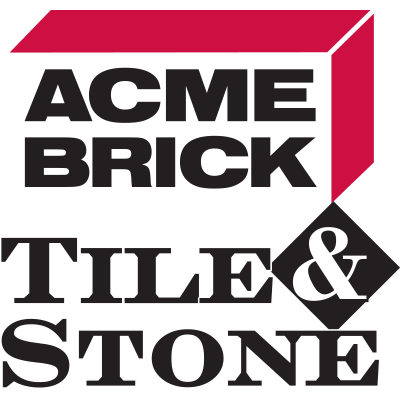 Acme Brick, Tile & Stone is a complete masonry resource for builders, architects, designers, contractors, and consumers. Our stores are open to the public and offer all the elements of success for a stylish floor or wall project, which include: Installation tools and materials, Sealing and cleaning supplies, and Expert tile and stone consultants on duty during store hours. Our locations also carry hard-fired Acme Brick in a broad selection of appealing colors and textures, as well as: Engineered fireplace systems that combine the beauty of a traditional fireplace and the benefit of energy efficiency – up to 200,000 Btu per hour. Hard-fired clay brick pavers, for sidewalks, driveways, and patios. Many locations also carry VAST composite pavers, which are manufactured from recycled materials such as plastic bottles and car tires. Attractive glass block accents that splash light to the core of your home or commercial project: windows, walls, skylights, showers, floors, walkways, and now glass stair treads. The IBP Grid System™ uses a sturdy aluminum structure to hold the glass units in place. In short, Acme Brick, Tile & Stone can assist anyone from the "do it yourselfer" to the commercial architect and installer, bringing dreams to reality.